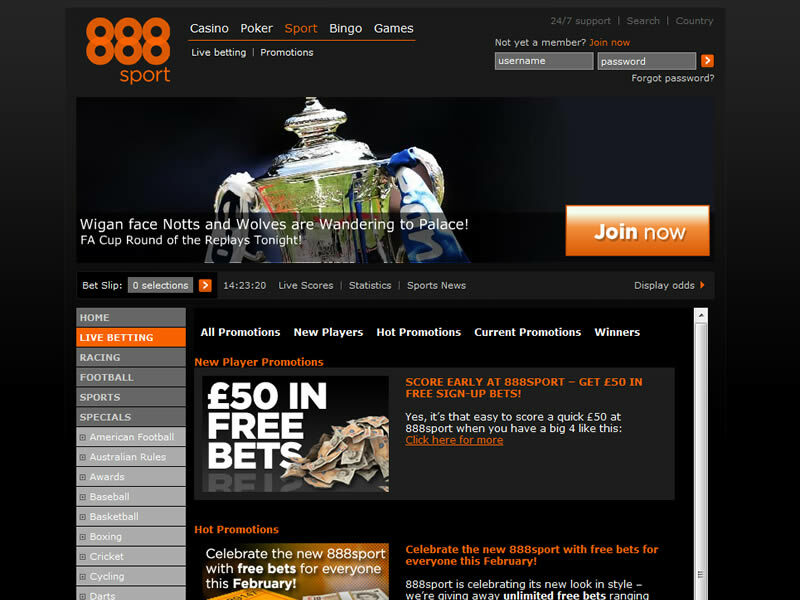 888sport.com was developed in conjunction with Blue Square, the Rank Entertainment owned bookie. Unlike Blue Square is has a pan-European feel to it. In addition to English, the site is available several European languages such as Spanish, German, Swedish and Danish. 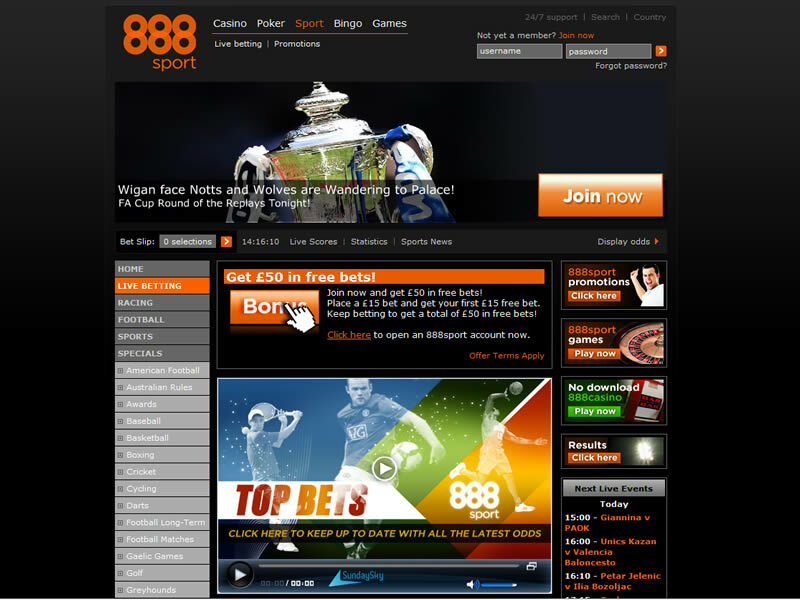 It makes sense that a company such as 888 who have invested tens of millions in sports sponsorship to use their brand in such a manner, so they can now offer a Sportsbook service! The site itself is similar design to Blue Square, but the colour scheme is very dark and depressing (black/orange)! It is also not immediately clear for customers to place a bet once they’ve made a selection on a football coupon for example. You have to press the ‘submit’ button when selecting, where as most other bookies just automatically add selections to your betting slip! 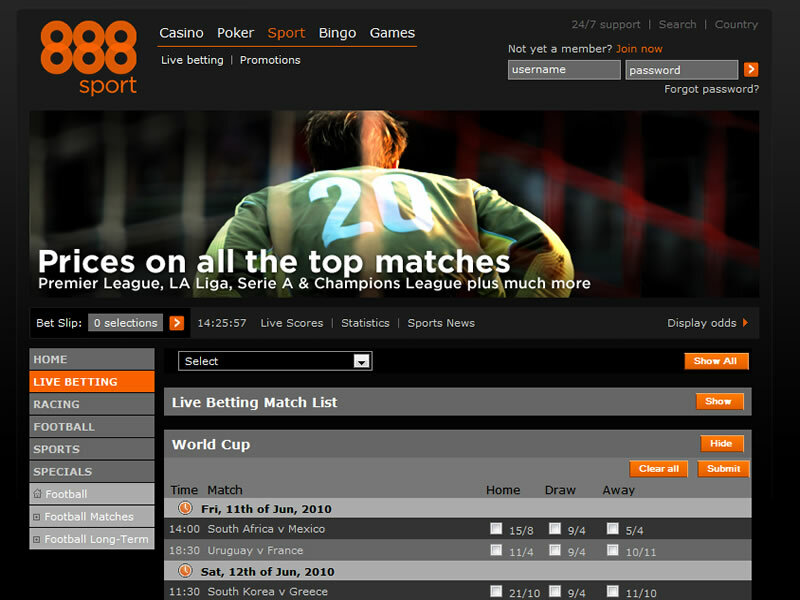 The majority of 888 Sports betting markets are fairly competitive without being breathtaking. You’ll very rarely find stand out odds on a football match or big horse race at 888Sport but there are some good specials and a wide range of pre-match markets. However, their In-Play betting doesn’t really cut the mustard compared to some of the dynamic offerings and range of bets available elsewhere, and this seriously needs to improve if they are to grow their customer base. There is obvious potential for growth and improvement for 888 sport if it wants to compete with the ‘Big boys’, but with such a strong gaming brand it is certainly possible. 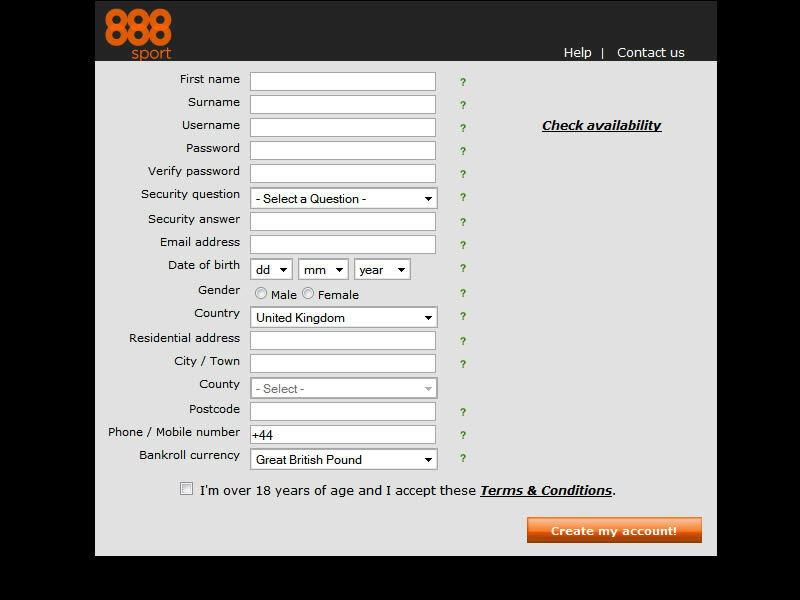 Open an account with 888sport to be eligible for TREBLE ODDS! on your first bet + £5 Casino Bonus. (Max bet £10).